At a press event three days ago (December 7th), Google provided a long overdue progress update on the status of their Chrome OS project. No, it wouldn’t be shipping on new laptops this year like they had previously promised. Instead, Google announced a pilot program where they would provide participants with notebooks running the Chrome OS in exchange for using it often and providing detailed feedback. Figuring it was worth the few minutes it took to fill out the application form, I signed-up for the Chrome OS pilot program. So with my low expectations in mind, yesterday I was shocked to find that a Cr-48 notebook had been delievered to our house by Google. 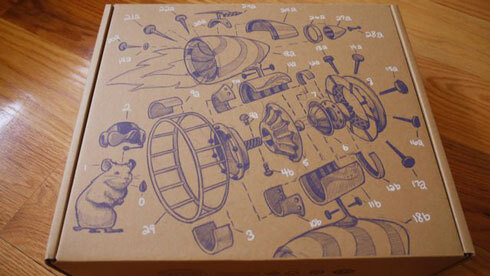 Below, I’ll give you a quick overview of the Cr-48 prototype notebook and of Chrome OS itself. Cutting the Cable Part 2: Hello Roku. Our family dropped our cable subscription last year, and I’d consider the change a success on most accounts. With just one or two reliable over-the-air channels available, our living room TV stayed quiet for months except for kids’ movies and PBS programs. Casey all but stopped watching TV except for the occasional disc from Netflix, and I continued watching the majority of my television on the 2-inch screen of my iPod Nano. In March, our living room entertainment options expanded a bit when we began beta testing the Netflix streaming disc for our Nintendo Wii. The on-screen interface was minimal, requiring that almost everything be done from the browser on a Mac/PC, but it did allow us to watch shows and movies on-demand on a screen bigger than our 20-inch iMac. Picture quality wasn’t all that great, and we had a lot of buffering issues, but it was better than nothing. When we moved into our new house a couple of months ago, Casey mentioned that she’d like to be able to watch something while nursing our infant, and for the inevitably long winter nights that we have here in North Dakota. 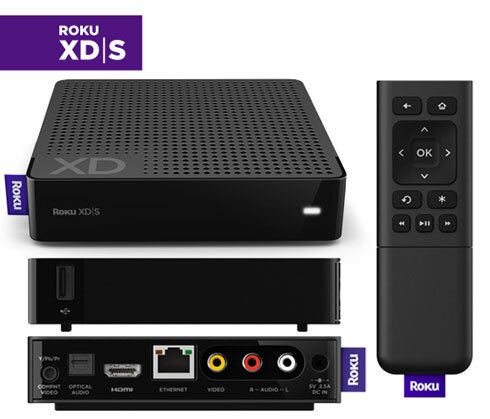 After looking at a few different options, we decided to try the new Roku XDS. The Roku is a streaming-only device, gettings its content from various sources online instead of storing it locally on a drive.